We are Auckland’s specialist in Builder’s Grade, non-structural and factory seconds plywood, all at ridiculously low prices. Perfect for any DIY projects you have on the go – such as exterior cladding, trailer decks, interior lining or that man cave. We’ll even lend you a trailer for a couple of hours for free! 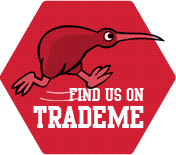 Check out our specials on Trade Me or come see us for some trusty advice from some seasoned timber specialists. From cutting out a rotten weatherboard to a full reclad, we have you covered with Bevel-back, Shiplap and PlyClad weatherboards. All available in first grade, or as a factory second, with project/bulk discounts available. Give us a call or stop in with your sample – we’ll match it up and give you the best deal around.